A market leading brand with a guaranteed performance. 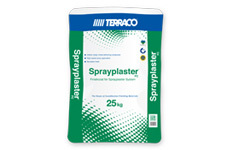 Terraco is a leader in spray-applied surface preparation compounds. 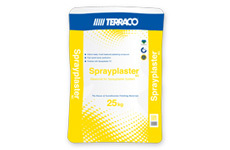 Used around the world for over 35 years, Terraco’s revolutionary Sprayplaster™ system provides customers with a host of long-term savings in comparison to traditional plastering techniques.